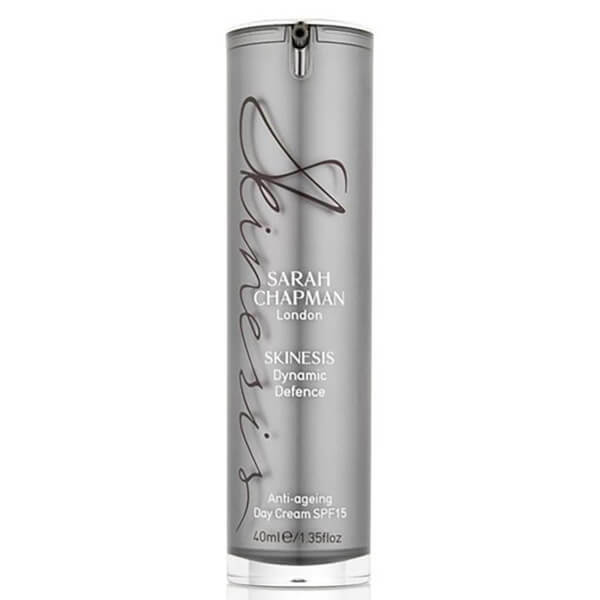 Treat your skin to the benefits of Sarah Chapman's Skinesis Dynamic Defence SPF15 Anti-Aging Cream, an award winning daily moisturiser that targets signs of ageing whilst restoring skin's natural moisture balance. Enriched with potent actives and a cocktail of aromatic oils, the day cream with added UV protection softens, soothes and conditions the skin's texture, delivering a comforting, protective veil that shields against oxidative stress and helps diminish the look of pigmentation, dark spots and wrinkles. Rich in antioxidants and fortified with a triple skin-brightening complex, the moisturiser will inspire a radiant, youthful, more even and healthy complexion. 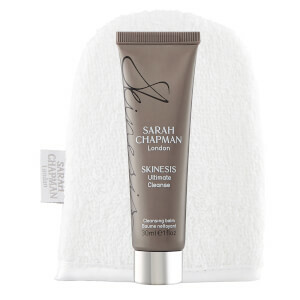 Smooth all over face, neck and chest every morning after your serum.